Will it treat acne? Will it help me lose weight? How do I use apple cider vinegar? It has been an ongoing trend. Apple cider vinegar has swept the beauty world. Numerous claims have been made about its usefulness, not only in the kitchen, but also in the boudoirs of those who seek beauty. What are these benefits? More importantly, how can it help make you beautiful? Mixing unfiltered apple juice with yeast and bacteria so it will start to ferment makes Apple Cider Vinegar (ACV). This process will turn the sugars into alcohol. The alcohol is then transformed into vinegar by acid-forming bacteria, which then turn it into acetic acid, the main compound active in vinegar. Acetic acid, normally found in coffee, is a mild acid that helps boost your performance by lowering blood sugar and blood pressure as well as protecting you from harmful microbes. Don’t be troubled if you see your ACV looking murky. Organic and unfiltered ACV contains a strand of enzymes, proteins, and friendly bacteria called “mother” which is responsible for its cloudy appearance. Much has been said about beauty. There are varying views on what is beautiful. For most, it is having smooth skin, glossy hair, and a fit body. For others, it is more than just the outer appearance. 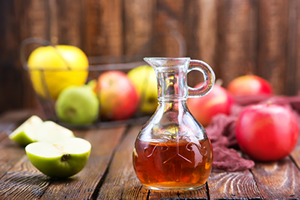 The use of ACV, for example, helps not only in improving one’s appearance but also in keeping a healthier body. With ACV, you will also radiate a healthy glow from within. Low stomach acid contributes to small intestine bacterial overgrowth (SIBO) and heartburn. To help with this, you can take a diluted mix of ACV before a meal to relieve symptoms and increase your stomach’s acidity. You can add a tablespoon of ACV to a cup of warm water (may be flavored with lemon, cinnamon, or ginger, if you want). ACV also contains indigestible carbs called prebiotics that help balance your gut microbiome and stimulate growth of helpful microorganism in the intestines. She adds that the skin also has various microorganisms that live on it and protect it. It gets out of balance from either internal factors (from the gut) or from external factors like skin products that you put on. This can then cause the overgrowth of p-acne bacteria or other types of bacteria that cause acne. For a quick and easy detox mask, mix about two capsules of activated coconut charcoal with just enough ACV to make a wet paste. Apply to your face and neck. Wait for about 15 minutes then gently rinse off. You can make an all-natural ACV toner using any raw, unfiltered ACV. To do so, use a 1:2 or 1:3 dilution of ACV. The acidity of an ACV toner helps to restore your skin’s pH balance after washing. The beneficial bacteria from the mother is also an additional perk. Apply with a cotton ball and do not leave on for more than a minute as vinegar can also burn your face. ACV has antimicrobial properties that help in quelling candida overgrowth. Candida is the yeast responsible for ailments like athlete’s foot, thrush, and other gut problems. A 1:1 solution of ACV and warm water can be used as a daily soak to treat athlete’s foot. It can also be applied as a deodorant for smelly armpits. Thanks to its antimicrobial qualities, a 1:1 dilution of ACV with warm water can help shoo the odor away. Take note not to apply it to freshly shaved armpits, as it will sting. ACV can also be good for your hair as a clarifying wash. To make your own hair rinse, mix 1 cup of cool water with 1 to 2 tablespoons of ACV. For those with oily hair or scalp, use more of this vinegar solution, while those with dry hair or scalp can opt for less vinegar. Place the solution in a squeeze bottle and evenly douse your scalp and hair after washing. Don’t worry, the smell of vinegar quickly evaporates. Just be careful not to let it get into your eyes. Research shows that ACV increases ketosis. This is a metabolic process wherein the body burns unwanted fat for energy in the absence of glucose from carbs. Old and new studies suggest a link between acetic acid and ketosis to cellular health. It says that ACV increases the number of mitochondria in cells, after you’ve attained ketosis, by stimulating a certain metabolic pathway called PGC-1 alpha. This implies that the addition of ACV in your diet can improve mitochondrial efficiency which improves energy levels. 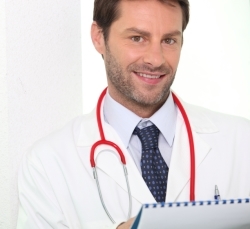 Those with diabetes must, however, consult their doctor before going on a ketogenic diet. For example, people with type 1 diabetes are more prone to developing ketoacidosis, a serious condition wherein blood acidity rises to fatal levels. As with any food or diet trends, it is always good to consult a physician regarding the proper use of ACV. Take into consideration the appropriate amounts and the proper ratio when making a ACV solution. As an example of bad practice, drinking ACV straight up without dilution will prove to be harmful for your tooth enamel, esophagus, and stomach. Make sure that you take care when using ACV by reading and following instructions carefully. You want to discover how to enhance your beauty without leaving a sour taste in your mouth. – Dave Asprey is the creator of the widely popular Bulletproof Coffee, host of the #1 health podcast, Bulletproof Radio, and author of the New York Times bestselling book, “The Bulletproof Diet.” Through his work, the Silicon Valley investor and technology entrepreneur provides information, techniques and keys to taking control of and improving your biochemistry, your body and your mind so they work in unison, helping you execute at levels far beyond what you’d expect, without burning out, getting sick, or allowing stress to control your decisions. 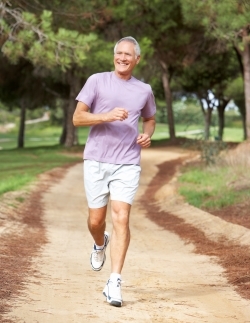 Physical activity is a key part of most diabetes care plans. It can provide widespread benefits including weight loss/maintenance, increased energy, lower insulin resistance, and better regulation of blood sugar levels. While exercise is often recommended for patients with diabetes, it is also important to understand how physical activity can affect blood glucose levels. Blood Glucose Level: The most accurate way to know whether or not a hypoglycemic episode is occuring is by measuring blood sugar levels before, during, and after exercise. If glucose levels are 100 mg/dL or lower, then steps should be taken to raise blood sugar levels. A simple-to-use touchscreen insulin pump that integrates with a CGM device can help make it easier for patients with diabetes to streamline managing blood glucose and insulin delivery. 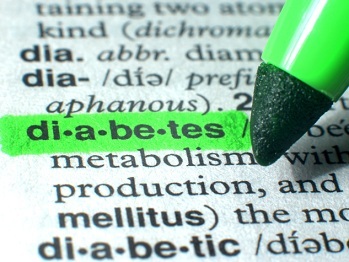 Mental Symptoms: Blood sugar levels can also affect how patients with diabetes feel and behave. Hypoglycemia can affect the brain’s ability to function normally and may cause things like headaches, confusion, dizziness, inability to concentrate, fatigue, and blurred vision. Physical Symptoms: When the body is lacking glucose in the blood, it will automatically respond by releasing hormones which can cause additional physical symptoms. These symptoms include hunger, shaking, increased heartbeat, and anxiety. It is important to note that indicators of hypoglycemia vary from person to person. A hypoglycemic episode may cause a change in gait while running in one person and a tingling sensation in the fingers for another. Patients diagnosed with diabetes should be careful to listen to their bodies before, during and after exercise so that symptoms of hypoglycemia can be recognized. If you have questions about exercise-induced diabetic hypoglycemia, how to treat it, or how to prevent it, contact your diabetes care team. They will be able to provide suggestions on when to monitor your blood sugar, how to accurately adjust your insulin for exercise, and what you can do to maintain a healthy glycemic level while following a physical fitness regimen. Around the globe, doctors and healthcare professionals continuously battle deadly diseases that negatively impact the lives of millions of people, and one tool that they effectively use toward that goal is vaccines. Immunization is perhaps the single most important healthcare decision a person can make that can save his or her life from vaccine-preventable diseases such as cervical cancer, hepatitis B, pneumonia, polio, tetanus, rubella, mumps, measles, and whooping cough. While the act of immunization may seem simple enough, there is still a need to drive awareness and education on it. According to statistics from the World Health Organization (WHO), the level of global immunization coverage has seemingly reached a plateau at 86 percent, with no significant increase in the past year. It is estimated that as much as 19.5 million infants are still left out on basic prescribed vaccines. Promote it with a custom wristband in your local schools and communities. A custom wristband reminding people of World Immunization Week is a simple but effective way to encourage more and more individuals to get vaccinated against some of the most common healthcare conditions. It can also be a great fundraising activity for your local charity or organization. Other ways that you can promote World Immunization Week is through posters, flyers, and events in your own community or locality. Spreading the news on social media is another way to help without even costing you anything. Your social media network alone is a great place to start to discuss the importance of immunization, especially for infants and children. Be sure to check out official articles, announcements, and thought pieces from reputable sources such as the WHO and share them responsibly on the Internet so that the spread of fake news can be prevented. There are numerous misconceptions or misinformation about vaccines and immunization, and they need to be countered with facts and data from official scientific reports and studies. Check with local legislators on how you can help support any laws, bills, or resolutions related to healthcare and immunization. There are many proposed healthcare measures in terms of government legislation that need the active voice of citizens. Lend some time in attending hearings and sessions where you can learn more about issues and how you can contribute positively in effecting legislation for the good of the general public. Visit your doctor and see how you or your family members can benefit from vaccination from dreaded diseases. There are different vaccines prescribed for various life stages, and it’s a good idea not to miss out on the opportunity to get yourself protected from diseases. As the saying goes, an ounce of prevention is worth a pound of cure. That is why healthcare experts and governments are adamant in promoting immunization because deaths from certain diseases can absolutely be avoided if only for the simple act of vaccination. As science and technology steadily progress further in the field of medicine, more and more vaccines are being effectively developed against a bigger number of diseases and health conditions. Vaccines are perhaps one of the most important medical innovations in modern history, and by all indications, it will definitely continue to play a vital part in global healthcare in many more decades to come. At one stage of your life or another, something serious may happen that leaves a mark on your mental health. It’s an inevitable part of life and traumatic events happen to everyone. Whether it be the death of a family member, an accident or a robbery, traumatic events could have serious consequences on the functioning of our brains if not properly addressed. These mental, physical and emotional effects often last for a long time and can lead to PTSD, depression and a variety of other problems. But with adequate support systems, methods and time, you can learn to alleviate these issues and put them in the past where they belong, allowing you to continue living a happy and healthy life. Support groups are popular for a reason; they’re effective and allow you to confide within those who have shared a similar experience to yours. Find one in your local area and ask if you can join. These types of groups are usually freely open to anyone and can greatly benefit your mental health if you participate. Local groups are a great choice if you don’t have any close family or friends that you’re comfortable speaking to or if they don’t understand how you feel. If your family or friends were involved in the traumatic incident, speaking to them would prove highly beneficial for both parties. Not only do you get to discuss the issue and find ways to move past it yourself, but you also give your family/friends a chance to share their thoughts. If you’re not convinced that this is one of the best options available, it’s worth finding out the benefits of group therapy. If the event happened recently, take a moment to inhale a few deep breaths and calm your body. This will relieve muscle tension and ease your mind. Be sure to take deep breaths through your nose and hold them in your belly before exhaling through your mouth. After you’ve calmed down, focus on being mindful and aware of the present. Assess how you feel, what you’re doing, who you’re with and where you are. Focusing on the now will help your mind move away from the past. From here, it’s advisable to try some meditation to further relax your body and mind on a daily basis. What if you could cope with trauma and improve your body at the same time? This is surprisingly easy to do. Simply join a local running, exercise, yoga or sports group and give it your all. Physical movement does a great job at relieving built-up tension and stress derived from trauma. This is much healthier and beneficial to you in the long term than lying in bed and you’ll see the benefits as time progresses. It should be clear by now that coping after a traumatic event is a fairly simple and straightforward process that anyone can follow. How did you cope? Let us know in the comments down below. Having an anxious pet can be difficult, with the anxiety often resulting in aggressive or anti-social behavior, whilst also having possible effects on your pet’s physical health as well as their mental state. Although it seems like there is nothing to help, there are tricks, products you can buy, and training exercises that can help to ease the anxiety and make your pets more relaxed. Mother cats and dogs naturally release pheromones to ease their young and create a sense of relaxation. This is a wonderful tool to use to ease any signs of anxiety in your pets. Available in collars, sprays, and diffusers that you can plug into a socket, pheromones can be released throughout the day in your home to help your pet relax. You can also buy hemp oil for pets, which will help to ease any anxieties, as it has the same effects on animals that it does on humans. This oil is perfectly safe for your pets and will do wonders for them, not only benefitting their mental state but also their physical state. Just like humans, exercise can help to ease your pet’s anxiety by releasing endorphins, triggering a positive feeling, and helping to soothe their anxiety. 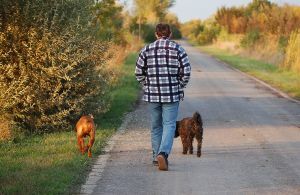 For dogs, the obvious exercise is walking them – sometimes multiple times a day – but this is not the only exercise that they can get. Playing with your pet and teaching them tricks will keep both their mind and body busy, releasing positive endorphins and keeping them healthy, happy, and relaxed. Whilst it’s easy to think of exercise for dogs, many people aren’t sure how to exercise their cats. Cats don’t need as much exercise as dogs do, and only need to be stimulated for anywhere between 10 – 25 minutes a day. Try buying a cat tower with a scratching post and lots of toys to keep them busy. Cats are natural hunters, so they will enjoy chasing toys around the house. If you have multiple pets, this can be the very cause of the anxiety. Animals can get territorial over many things, including people, beds, and food. If another animal is attempting to claim what your pet thinks is rightfully theirs, they can experience extreme stress and anxiety. With cats, it is not uncommon for bullying to occur, to establish who is the alpha of the house. To prevent this from happening, position pet beds and food in separate rooms, and teach them which bowl and bed are theirs. This is also important if your cats have a litter tray. Cats like their own space, so giving them their own tray will help them to establish which territory is theirs and reduce stress and fighting. There are many things which will make pets feel overly stressed and anxious that you may not even be aware of. However, even if the cause can’t be found, there are many ways highlighted in this article to soothe the anxiety and help your pet become healthier and happier in body and in mind. Maintain a state of the art waiting area for your patients featuring chairs with non-porous surfaces and plenty of trash receptacles to keep your office cleaner. Instruct your workers to wipe down all areas with antibacterial wipes to help prevent germs from replicating and spreading to other areas. Unfortunately, some illnesses spread quickly, even in the cleanest of medical facilities. Working with an infection control consultant will aid you in identifying potential hazards within your workplace as well as managing outbreaks before they become detrimental to your business. Remember that hiring a team of healthcare professionals who know how to treat patients is one thing but keeping your medical practice free of pathogens requires a different type of expert. Your medical practice may have signs posted to help inform patients and staff of their duty to clean up after themselves, but it only takes one person being infected for an outbreak to emerge. Consider how quickly pathogens can spread after someone uses the facilities and fails to wash their hands. Those germs can be spread to the furniture and even your examination rooms over the course of just one or two hours. Infection control consultants can help you in identifying how bad a potential outbreak would be at your medical facility given your current practices. That information can also be used to prevent future contamination and the spread of dangerous pathogens. Installing equipment such as touch-less paper towel dispensers and toilets that automatically flush could be the key to stopping contaminants from being spread at your medical facilities. The suggestions that are given to you by an infection control consultant will be personalized and based on the size and specific structure of your practice. Medical facilities that are used to treat and care for pregnant women or the elderly, for example, may be urged to take additional precautions as the people they serve are more at risk. After getting an assessment, you will need to have your facility checked to ensure that there is little risk of a serious outbreak. Cultures may be taken from various surfaces to check for pathogens and your staff may even be surveyed on the level of cleanliness at your business. Whether assessments are continuous or infrequent, it is vital that your medical facility is looked after by someone who specializes in infectious disease risk factors. One particularly bad flu season could lead to an outbreak in your practice, sickening your staff and causing you to temporarily shut down. Whenever you have questions about pathogens and infectious diseases you should go to a consulting firm that can give you specialized advice. No amount of hand sanitizer is going to rid your medical facilities of all germs and pathogens, but you can still keep the risk of outbreak very low. Keep up to date on the spread of diseases in your region so that you can act fast before a crisis develops. Most importantly, maintain good cleaning habits that are streamlined to work with your particular medical specialty. Caregivers come from all walks of life. There are professional caregivers and family caregivers. They work hard to care for those who cannot care for themselves. And yet, too often, it is the caregivers themselves who forget their own well-being. Some caregivers even find themselves encumbered with their own health issues and injuries. Studies show that in 2015, over 170,000 incidents of documented illness or injury happened in the private nursing and caregiver industry. This translates to roughly 6.8 incidents per 100 workers. Clearly, caregiver injuries have become common and affect a significant percentage of healthcare workers. The most common injuries recorded are sprains and strains, cuts and punctures, fractures, soreness or pain, bruises, and multiple trauma. These injuries are classified as musculoskeletal disorders (MSDs). They affect the body’s joints, muscles, nerves, ligaments, and tendons, particularly the bone structures that support limbs, which are the back and the neck. In order to address these injuries, The Hospital Patient and Healthcare Worker Injury Protection Act was created. It requires healthcare facilities to adopt practices that will reduce the injuries of healthcare workers, especially for those who have to move and lift patients. Caregivers need to support heavy weights whenever transferring supplies or moving a resident. MSDs occur when caregivers pull or strain their muscles or injure their tendons, ligaments, cartilage, or joints. Employers should make sure that caregivers are equipped with proper gear, like a back brace or weight belt to assist them with the load. Often, healthcare workers are discouraged from wearing these items because putting them on and taking them off can take up a bit of time and effort. However, employers can reinforce this policy to make sure that caregivers follow this rule. Employers can also provide the facility with patient lifts and slings to help lessen the impact of transferring patients or changing their position. Another precaution that can be employed is to give caregivers the proper training and techniques for lifting. If the caregiver needs to bend down to assist a senior when eating or bathing, advise them to place themselves in a more comfortable position, such as squatting or sitting. They can also be taught to stretch every day to relieve muscle tightness and to make them more flexible. Those that need care are often sick or weak. Caregivers often risk constant exposure to bacteria and viruses that may make them more susceptible to contracting illnesses. Also, exposure to blood and other bodily fluids increases a caregiver’s risk of getting sick. One of the best ways to prevent the spread of diseases is to practice frequent hand washing. Microbes and bacteria may be minimized, if not eliminated, through proper hand hygiene practices such as washing with water and soap and using hand sanitizer. Also, to prevent viruses from entering their bodies, workers may be required to wear surgical masks. Make sure that all staff are vaccinated regularly. And see to it that they get shots for common illnesses such as flu to prevent the occurrence of these diseases. It is a reality that communities or homes that provide care may be understaffed due to limited budget. This means caregivers are often overworked — a state that could lead to health issues and illnesses caused by stress. These issues can take a toll on the employees’ physical and mental health, which could then result to lack of sleep, poor eating habits, and increased vulnerability to illnesses. If it is not at all possible to increase the number of caregivers, one way to avoid overworking the employees is to provide them with regular breaks to rejuvenate themselves. They should be working regular shifts of 8 to 10 hours, and should not be required to be on call outside of the residence. If the caregiver works for over 10 hours, they may make more mistakes since they are too tired. When this happens, employees and residents become susceptible to injury or harm. Make sure that the caregivers are well-rested and ready for their shift. 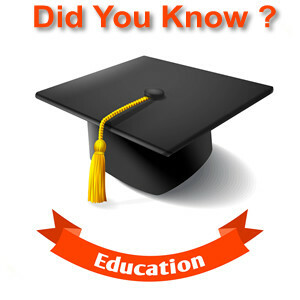 Choosing a career in the healthcare industry may entail health risks. However, issues that come from heavy lifting, exposure to illnesses, and understaffing can be addressed to prevent further complications and burn outs. Policy enforcement, proper training and equipment, and care for caregivers can go a long way in preventing these common injuries. Research shows that children with access to electronic devices are more likely to be overweight. A survey by REAL Kids Alberta showed that Grade 5 students with access to one electronic device were 1.47 times more likely to be overweight compared to kids with no devices in the bedroom. The number jumped to 2.57 times for kids with three devices. If your kids aren’t exactly the athletic type, there is still hope. Love for sports can be taught given the proper encouragement and reinforcement. Sometimes, all it takes is a visit to the park or a cool outfit. For example, you can get your kids excited with custom socks from Strideline or a ticket to watch their favorite team. If they don’t have a favorite team? Take them to see your favorite team, mom & dad! Getting your kids to ditch the iPad for sports isn’t at all that difficult. Not sure where to start? 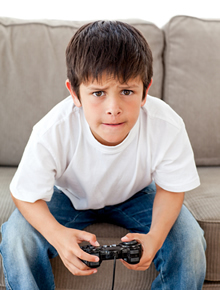 Here are some tips to get your kids away from the computer and into sports. It goes without saying (but we’ll say it anyway) that a sport needs to be enjoyable for kids to commit to it. If your child isn’t into the same sports as you are, don’t force it. Find your child an activity he/she truly enjoys. Chances are, they’ll be more excited for it. Every child wants to be the cool kid on the block. What better way to show up than with awesome gear? Great gear isn’t only cool, it boosts performance and reduces risk of injury as well. That’s a win-win in any book! Check out https://www.strideline.com/ for custom socks that will help them stand out from the competition. Parents often underestimate the power of peer influence and peer pressure. According to Judith Rich Harris, a leading American psychologist, external influences from friends, pop-culture, and society have a profound effect on a child’s growth and development. That said, it is absolutely vital to surround your kids with good influences. Take them to little league and encourage them to join the school varsity team so that they can bond and cultivate friendships with other active children. Children tend to copy what they see. So if you spend your days in front of the TV or computer, expect your kids to do the same. Studies show that active parents make for active kids. Kids whose parents hit the gym at least twice a week grew up to be more active than those whose parents never exercised. Committing to your child’s health and wellness means cultivating an environment conducive to exercise and recreation. Sometimes, that requires getting of the couch and breaking a sweat. Whether you like it or not, parenthood comes with certain responsibilities, one of which is being a positive role model to your children. In this day and age of electronics and digital media, encouraging your children to play sports can be difficult. However, with the right environment and an active upbringing, sports can be an integral part of their everyday lives. 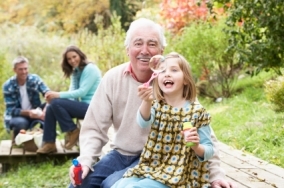 Interesting topic from June from PRWeb and Harvard Health Publications, please share your thoughts below…..
Age-related forgetfulness, although annoying, is common and essentially harmless. Nevertheless, pinpointing its exact cause isn’t always easy. 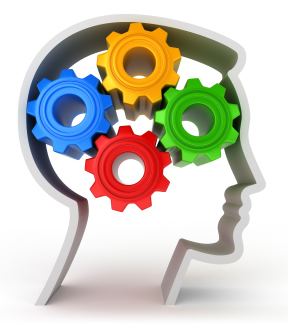 But according to the June 2015 Harvard Men’s Health Watch, asking some simple questions can reveal some of the reversible causes of memory problems and provide the basis for a helpful conversation with a doctor. “Having an honest discussion about memory and getting tested may help open up discussions about other areas of health too,” says Dr. David Hsu, a geriatric psychiatrist at Harvard-affiliated Brigham and Women’s Hospital. After middle age, many people start to worry that simple forgetfulness may be the harbinger of Alzheimer’s disease. But sometimes the causes are more mundane. They include fatigue from an unrecognized medical condition, the effects of sedating medications, lack of good-quality sleep or regular exercise, and the effects of chronic stress. Dr. Hsu notes that a perceived change in memory performance may simply be due to a slight slowdown in thinking speed that comes with aging. “Remembering takes a little more time, but this is entirely normal,” Dr. Hsu says. Getting frustrated with memory slips won’t make them stop; actually, it could make it harder to remember things. * Who should be tested for an abdominal aortic aneurysm?